iPro Software has been built specifically for the holiday rental industry, catering for businesses with 50+ cottages and an enterprise package available for portfolios of over 500 properties. Whether your cottages serve the ‘staycation’ market, countryside escapes, or those planning a short break, iPro’s Property Management System (PMS) can help you manage your entire business, from availability to billing and reporting. iPro Software is fully customisable, allowing you to adapt the system around your cottage business goals. It is also fully scalable - the system will grow as you do! Are you running a variety of cottages owned by other people? With iPro dashboards you can manage logins, statements, and send automated emails to cottage owners and housekeeping staff. iPro provides a range of email templates, enabling you to quickly set up and adapt alerts about new enquiries, bookings, reminders or expenses. 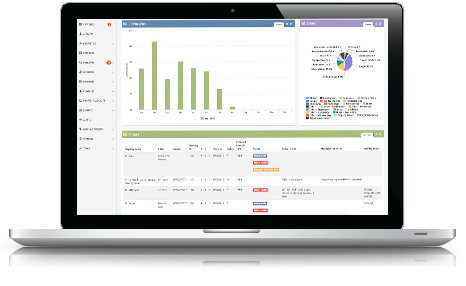 iPro Software features a centralised dashboard for displaying business analysis and insights, as well as accounting and finance reports. 4. Manage your cottages anytime, anywhere. Cloud-based and tablet friendly, you can log in to the iPro Software from anywhere with a WiFi connection. Give your cottages a global reach using the iPro channel manager platform. With an easy set up and sync, you can distribute your properties to a variety of advertising platforms. These are automatically updated, so no there is no need for manually updating. ​Are you curious to find out how the iPro property management software could work for your cottage rental business? Then get in contact with us today, or book a free demo here!